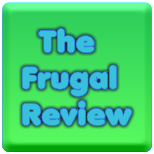 FRUGAL REVIEW: One Year Of Family Circle For $5.99, Plus A Free Gift! One Year Of Family Circle For $5.99, Plus A Free Gift! 1 Year subscription for $5.99 on your favorite magazines.